The best forex books challenge you to think about your own trading, teach you a specific skill or show you how some highly successful traders operate. The list below is made up of some of the best forex books available. Each of them will help you become more successful as a forex trader. Written by Kathy Lien—chief strategist for the number one online currency broker in the world—Day Trading the Currency Market reveals a variety of technical and fundamental profit-making strategies for trading the currency market, and provides a detailed look at how this market actually works. It contains actionable information and strategies, which can help you enter this highly competitive arena with confidence and exit with profits. What separates the world's top traders from the vast majority of unsuccessful investors? Jack Schwager sets out to answer tis question in his interviews with superstar money-makers including Bruce Kovner, Richard Dennis, Paul Tudor Jones, Michel Steinhardt, Ed Seykota, Marty Schwartz, Tom Baldwin, and more in Market Wizards: Interviews with Top Traders, now in paperback and ebook. This classic interview-style investment text from a financial expert is a must-read for traders and professional financiers alike, as well as anyone interested in gaining insight into how the world of finance really works. Excellent selection for anyone wanting to make a living trading. Filled with simple explanations to a very complicated subject. There is no "pie in the sky" stuff that you find in many trading books. Lots of straight talk and specific examples. Book contains lots of plans for set-ups and trading structure that most traders at any level need. Entertaining too. Soviet-born author and practicing psychiatrist Elder (director, Financial Trading Seminars, Inc.) shares his learning over the years as a professional trader and expert in technical analysis and his principle of understanding the three Ms (Mind, Method, Money), which will strengthen the discipline required to be successful in trading. He explores crucial factors in the markets that most experts overlook, including time, volume, and open interest, and describes little-known indicators to track them profitably. In addition, he covers many of the more technical approaches to investing in futures, such as factoring in the meaning from the Elliott Wave, oscillators, moving averages, Market Logic, and point-and-figure charting. His unique viewpoints in this overly saturated genre explain his particular view that most traders sabotage themselves, while offering tips for others to avoid doing the same. The narration by Richard Davidson soundly guides the listener through this highly specialized work that, although first published seven years ago, remains recommended for university libraries supporting a finance and business curriculum. This book systematically explains the theory of technical analysis, presenting academic evidence both for and against it. Using hundreds of fully updated illustrations, the authors explain the analysis of both markets and individual issues, and present complete investment systems and portfolio management plans. 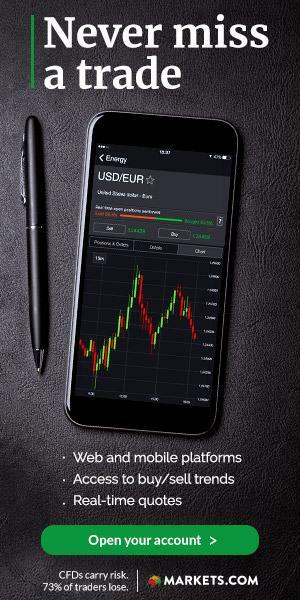 They present authoritative, up-to-date coverage of tested sentiment, momentum indicators, seasonal affects, flow of funds, testing systems, risk mitigation strategies, and many other topics. John Bollinger is a giant in today’s trading community. His Bollinger Bands sharpen the sensitivity of fixed indicators, allowing them to more precisely reflect a market’s volatility. By more accurately indicating the existing market environment, they are seen by many as today’s standard—and most reliable—tool for plotting expected price action. Now, in Bollinger on Bollinger Bands, Bollinger himself explains how to use this extraordinary technique to compare price and indicator action and make sound, sensible, and profitable trading decisions. Concise, straightforward, and filled with instructive charts and graphs, this remarkable book will be essential reading for all serious traders, regardless of market. Bollinger includes his simple system for implementation, and techniques for combining bands and indicators.